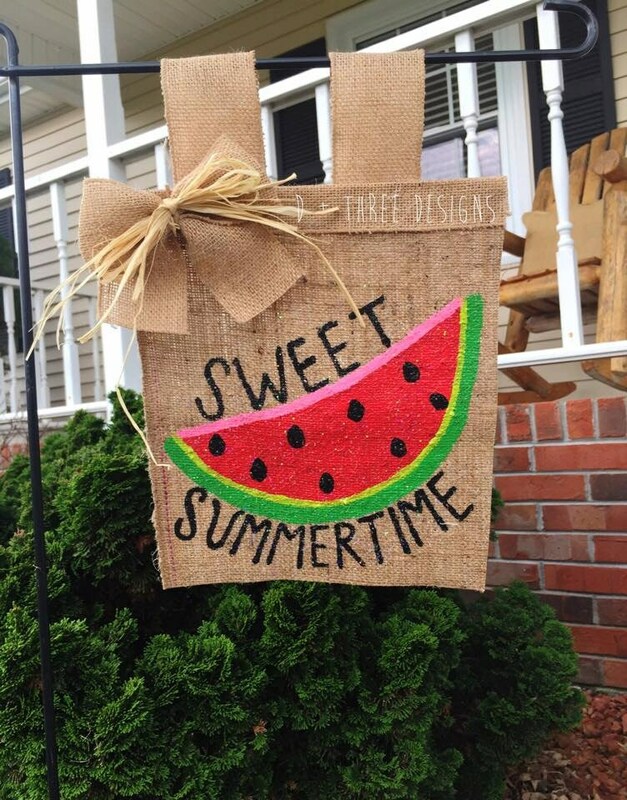 This yard flag is a watermelon slice with "Sweet Summertime" written as pictured. Comes with a burlap bow. The watermelon has glitter on it for extra shimmer.